On August 2nd, 2014, AmeriClean was selected for the exclusive Textile Pro Program, which is an excellent opportunity to gain even more knowledge and expertise in the field. AmeriClean Cleaning Specialists is a cleaning firm operating in Hagerstown, MD since 1984, and was one of only 20 companies selected from cleaning firms across the US and Canada to participate in the Textile Pro Program in 2014. 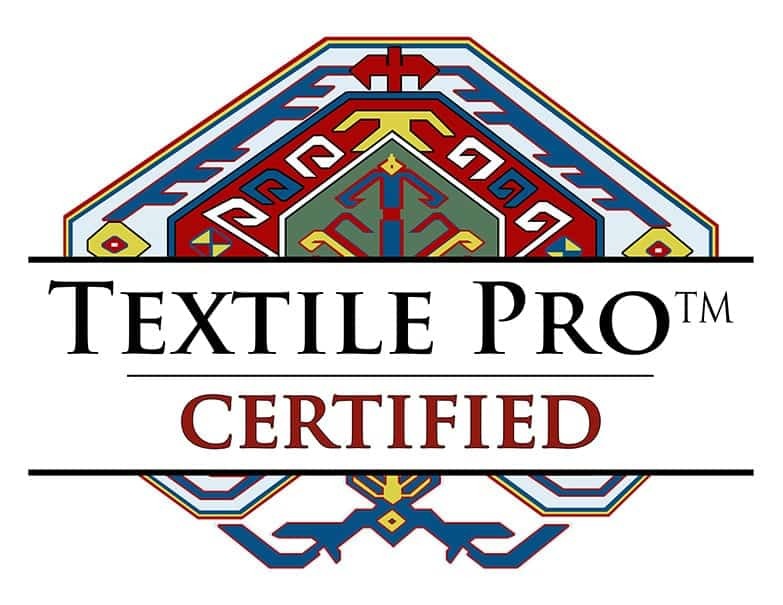 The Textile Pro Program is a course of advanced employee training to develop specialists in the field of oriental and specialty rug care, as well as fine fabric care. It was developed by certified rug specialist Lisa Wagner and certified fabric specialist Jim Pemberton. “This is six months of training, so we only select 20 companies to work with at a time from the large number who apply. The companies we choose are based on their level of professionalism, knowledge of cleaning and restoration, and their overall culture of wanting to provide the best service to their clients,” explained Ms. Wagner. “Our industry has lacked advanced textile training and it’s led to a real deficit in rug and fabric specialists for today’s investment textiles and furnishings. This program is designed for those who are already very good in their craft, to help them excel even more so in this field,” added Mr. Pemberton. Do you have fine investment quality Oriental rugs or simply some lovely area rugs that you are fond of? AmeriClean will wash your rugs utilizing ancient practices that are safe for the textile and provide you with maximum soil removal. Also, if you have a pet urine situation on your rug(s) AmeriClean is trained and qualified to flush your rug free of urine and the odor associated with it. In most circumstances, AmeriClean will be able to remove 100% of the odor. Give AmeriClean a call or click on Get a Quote to tell us about your textiles that you would like to have cleaned by the experts at AmeriClean. You can read more about Lisa Wagner and some expert advice she shares on her blog, www.rugchick.com. Lisa is a world renown rug care specialist based in San Diego, CA and provides training seminars for industry professionals all over the world. She will be traveling to Australia in 2015 to take the Textile Pro Program to an international level. You can find a listing for AmeriClean on Lisa Wagner’s blog www.rugcleanerinfo.com as AmeriClean is now personally recommended by Lisa Wagner and Jim Pemberton.